Who has been watching the Olympics???!!! I know my family and I have been watching like crazy!! We literally have all the TV's on in every room pretty much all day long just so we don't miss a single event! I have had so much fun showing my children all the different sports and teaching them about goals and great role models! 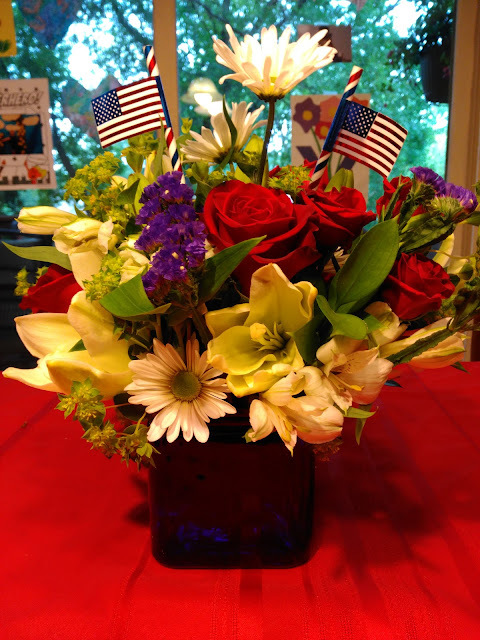 Well if you are looking to celebrate the Olympics like we are, then a fresh, patriotic vase of flowers is just the thing to brighten up any room and show off your USA pride! 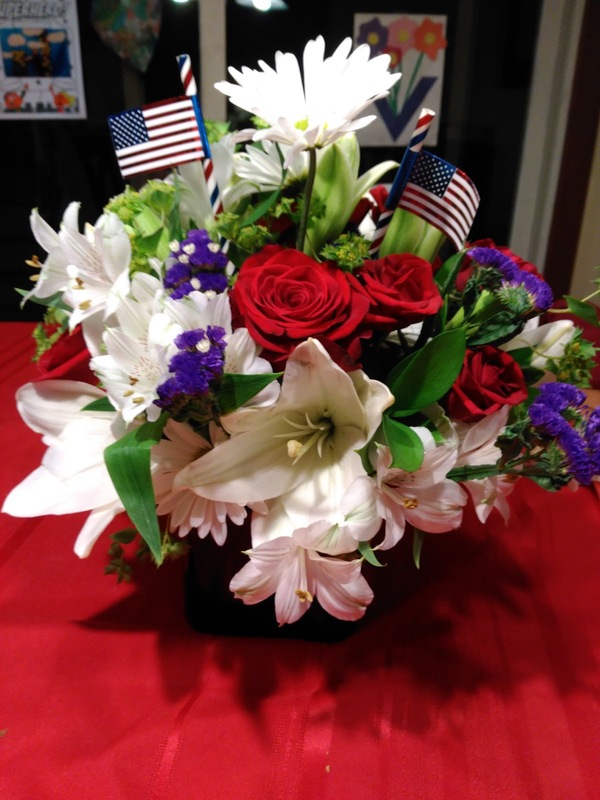 I received the very beautiful and very patriotic America the Beautiful by Teleflora bouquet and we are so proud showing it off! This bouquet is perfect for celebrating the Olympics and showing USA pride! 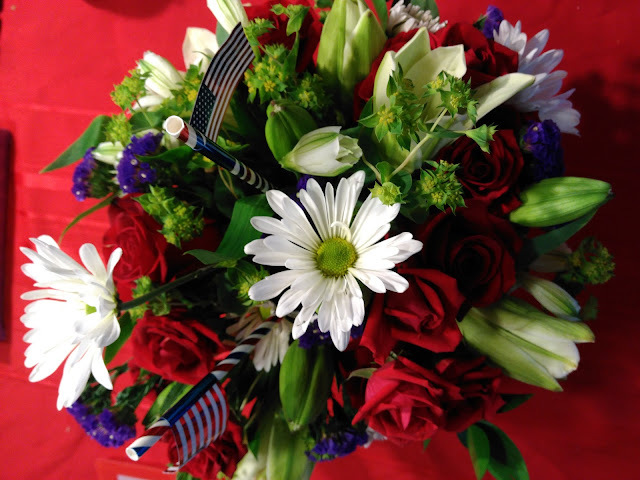 Lush red, white and blue flowers are presented in a deep blue glass cube vase along with two American flags. This beautiful blue contemporary cube vase is a limited edition Flowers-in-a-Gift selection, which can be used for years to come. Available exclusively from Teleflora. PLUS...Thanks to Visa, from August 5 – 22nd, save 40% on Teleflora.com bouquets with Visa Checkout during the Rio 2016 Olympic Games. Root for your home team with these red, white and blue blooms, and many more bouquets available site wide that are perfect for the champion in your life! You can purchase this America the Beautiful bouquet starting at $52.95 from the Teleflora website.